Braided vinyl hat band with bead work. Beaded sections measure approximately 1 3/4" long. Colors and patterns will vary. Hat band measures about 26" long, but is adjustable some. 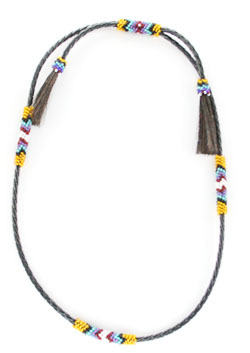 Navajo crafted by Evelyn Morgan.